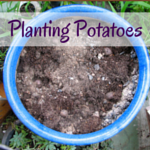 Surviving The School Holidays: CHEAP Activity No 3 – Plant Some Potatoes . . .
. . . . or beans or beetroot or kumara. Helping your children to plant vegetables is like gifting them true magic. 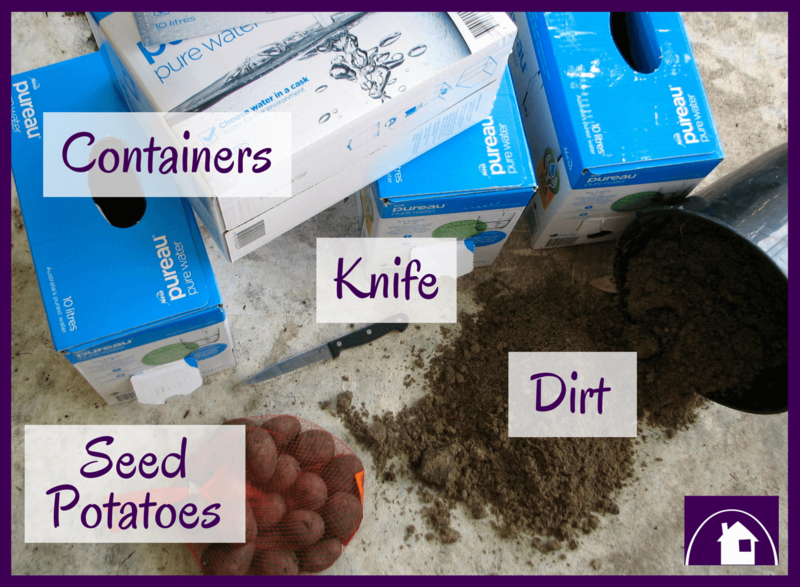 Planting a seed (or tuber, aka potato), seeing it sprout, watching it grow and eventually picking the fruits . . . is pure wonder. So use these holidays to plant something, that will change your child/ren’s life. I will post an update in two weeks to show you how to top up your container with dirt, in the meantime all you need to do is keep an eye out for green shoots coming out of the dirt. 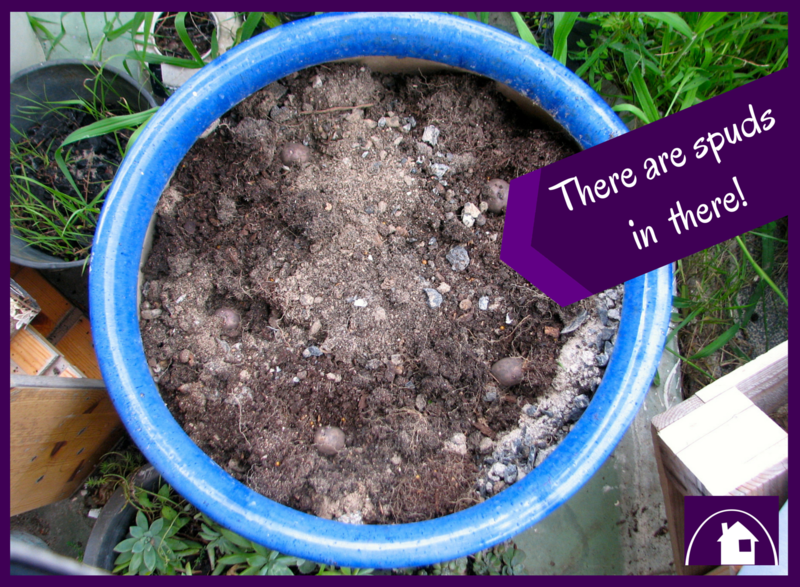 One of the greatest aspects about growing potatoes is that you don’t need fancy potting mix or expensive soil. They like well drained soil and don’t need a lot of manure/fertilisers because the nutrients are already in the seed potato. Cool huh? There were so many seed potatoes in the bag that I planted another five in a huge ceramic pot and still gave another six away to a friend. the truth is that these don’t store well when harvested and they quite often rot. It’s always best to buy seed potatoes. due to one of my medications that controls my Clinical Depression. to absorb iodine, which then has an impact on the body’s metabolism. So I started drinking non-chlorinated water, hence all the boxes!